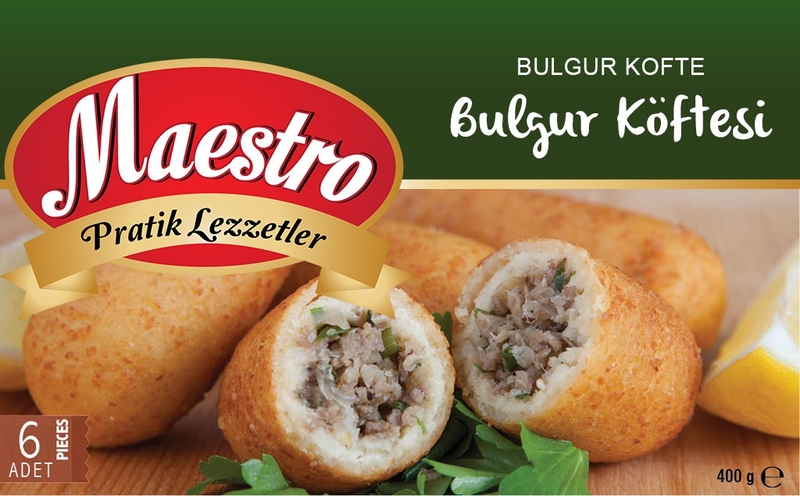 A traditional torpedo-shaped meze dish made of minced meat filling with onion, parsley and spices all encrusted with a golden bulgur coating. Made from only the best locally sourced ingredients and quick frozen for freshness. Water, Bulgur, Onion, Minced Meat, Parsley, Salt, Pepper.